6 June 2016 – The top United Nations official for Libya today told the Security Council about the “tragic” humanitarian situation there, underlining that “personal tragedies and collective suffering” are the consequence of the continued lack of State authority in most parts of the North African country. His briefing to the Council provided details on the work of the Mission since 26 February, including information relating to the humanitarian situation, political developments, the military situation, and UNSMIL’s return to Libya. Stressing that all this is the consequence of the continued lack of State authority in most parts of the country, the UN envoy highlighted that next week marks six months since the December signing of the Libyan Political Agreement . First, that the Libyan Political Agreement as signed in Skhirat on 17 December and subsequently endorsed by the House of Representatives on 25 January remains the sole legitimate framework for managing the remainder of Libya’s political transition until a permanent constitution is adopted. Second, that the House of Representatives remains the institution to endorse and swear in the Government of National Accord. Third, it is vital that the Presidency Council works in its entirety, with all nine members. Fourth, the Presidency Council will need to move quickly to meet the basic needs of the Libyan people. Sixth, averting hostilities between different Libyan security actors involved in the fight against ISIL requires an inclusive interim security architecture, including temporary command and control arrangements for the army. Turning to the military situation, Mr. Kobler said there was considerable progress over the last days and weeks in the fight against ISIL. Urging Libyans not fight against each other, he said they must unite against their common enemy. 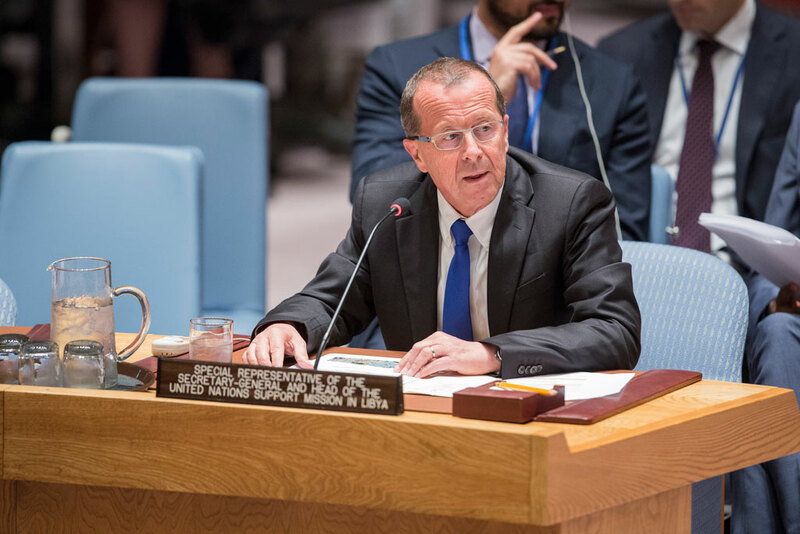 Thanking the Council for its close engagement on Libya and support for a political resolution there, Mr. Kobler stressed the urgent need for UNSMIL to re-establish its presence in Libya. In conclusion he said it is essential for UNSMIL to be on the ground and ready to meet the immediate needs and priorities of the Libyans.